It's a blue moon tonight! (Technically at 9:58 tomorrow morning, but it counts.) If you're like me a few years ago, you'd be looking for the moon to have a blue color to it. 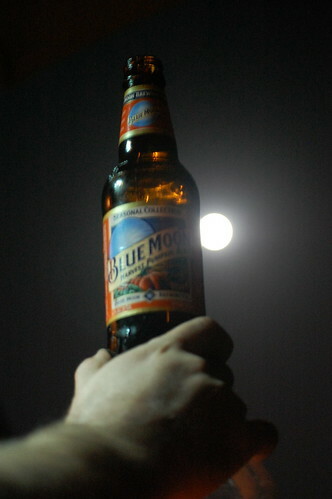 "In fact, 'blue moon' refers not to color, but to rarity. Blue moons are defined as either the fourth full moon in a season, or, more recently, as the second full moon in a month. It's the second definition that covers August's blue moon; the month's first full moon was on Aug. 1.